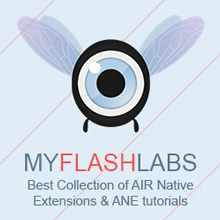 Air Native Extension, Android Apache 2.0. URL. Error #1014: Class com.freshplanet.ane.AirGooglePlayGames::AirGooglePlayGamesEvent could not be found. Hi! Please help! I included ANE in my project, but no authentication dialog comes up and I recive messages like that: Could not find method android.view.View.getDisplay, referenced from method com.google.android.gms.internal.bn$b.b. GameHelper: onConnectionFailed: since user didn’t initiate sign-in, failing now. There is no exception with wrong app id. Please, help! Have you tried to open an issue at their github page? You can also try to ping @freshplanet about the problem. The issue is similar to https://github.com/freshplanet/ANE-Google-Play-Game-Services/issues/2 except that when I try signin after ON_SIGN_IN_FAIL it works. It seems to be start at launch issue.. Try to comment on that issue, maybe someone has a similar problem. Did anyone managed to use this extension? With a positive result. Hi. The ane works nicely, but I cant seem to be able to show the leaderboard. I cant find the function. However, I can show achievements since there is a direct function for that. Am i missing anything? Hi there, chamster! As far as I could see in the API, there is no method to show the leaderboard. I see! Then is there any version that can show leaderboard? The report score method is there, it’s just seem logical to have a show leaderboard method there too. I thought the very same when I first saw this ANE. Why is the show leaderboard method missing? I guess that method is not so easy to implement, that’s why it’s missing. Leaderboard method is quite easy to implement. See improvement by Overlawled linked in issue section. I released game with this ane yesterday, because It seemed to work fine. Unfortunately, due to google play developer console, some errors still occurs. Thanks kubusabdi! overlawled’s ane solves my problem.